FAYETTEVILLE, Ark. 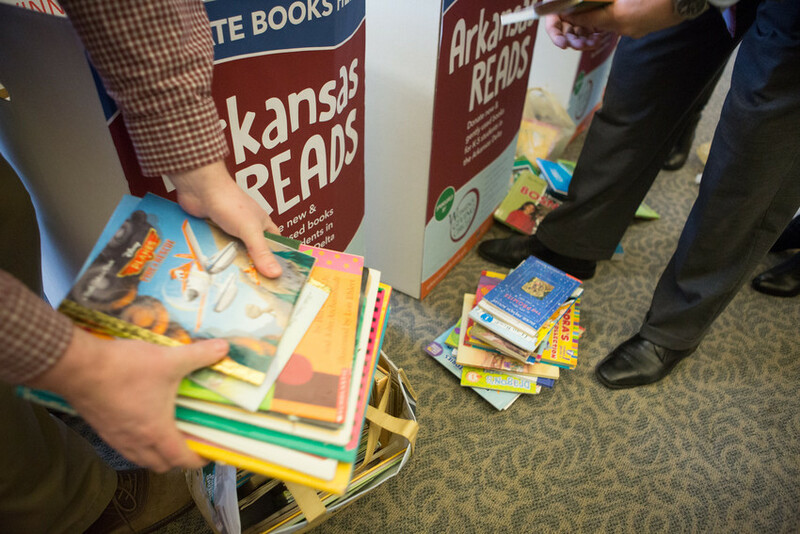 – The Division of University of Advancement at the U of A has collected 736 children’s books to donate to Arkansas Reads, a program that collects books to give to students in grades K-4 across the state. The books were collected as part of a division-wide team challenge. The donation is the largest this year and the second largest ever for Arkansas Reads, which has been collecting books for schools around the state since 2010. The books have been donated to the Brinkley School District in the Arkansas Delta. Book collection continues on the University of Arkansas or Fayetteville High School campuses through April. For drop off locations visit read.uark.edu.